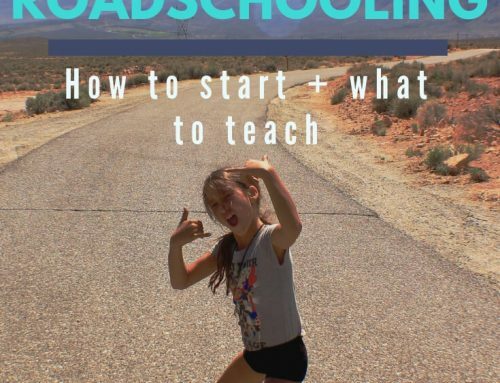 We moved into our RV back in 2015 without really knowing what our long term plan would be. At first it started with the idea of just living in it for 5 months and doing some long road trips mixed in with camping in our hometown of San Diego, California. It gradually evolved into something much bigger. Now we’ve lived in our for 3 and a half years (with 5 kids)! 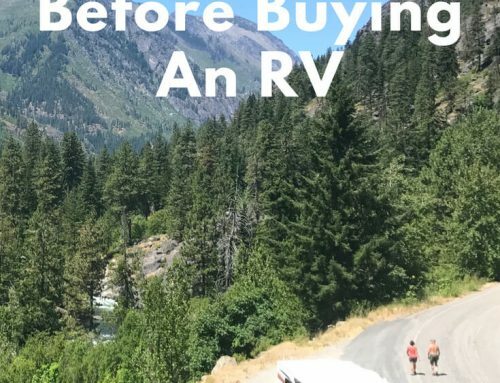 Before we moved into our RV, we eliminated almost all of our monthly expenses, had no debt, and paid for our RV upfront so we truly wouldn’t have any daily expenses other than food and insurance. 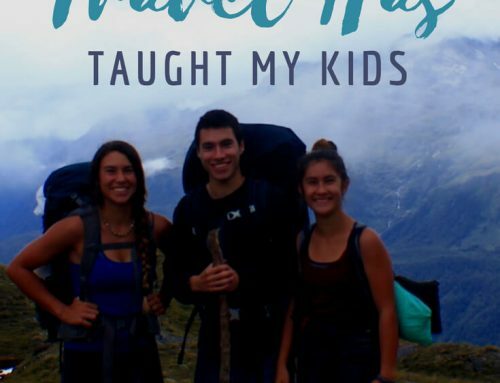 We loved the simplicity and freedom of living in our RV and so, after our 5 months of travel, we decided to keep living in our RV for the 2015-2016 school year while we saved up money for a 6 month trip to Europe in 2016. Our Europe trip consisted of two months of car camping in Norway, Ireland, and Germany, followed by four months in a way too small campervan for seven people while we road tripped through 12 countries. We then used San Diego as a base camp for the 2016-2017 school year again to save up money for our next years adventures. This time we spent our summer on a 11-week road trip in our RV through Califonia, Oregon, Washington, British Columbia, Alberta, Idaho, and Utah. Of all our travels, this type was my favorite. I loved the constant slow paced movement in search of adventure. We climbed, hiked, and biked almost every day and to some really epic destinations. We then spent 6 weeks in the fall back in France and Spain. This time opting for Airbnb’s instead of camping. This trip also revolved around hiking and rock climbing and took us to more epic destinations. Where you decided to park your RV can make a huge difference in what it costs to live in an RV. One option is to find a long term campground in a city near where you work. While campgrounds like this with full hookups and amenities like free hot showers may normally cost over $50/night, they often offer huge discounts for monthly rentals in the off season that make the cost $30/night or less. It really depends on the overall cost of living of that city. If you can handle the cold, there are some great and affordable long term RV parks in cute ski areas like Whitefish, MT that are way less expensive. 2) It allows us to travel abroad and take long road trips. 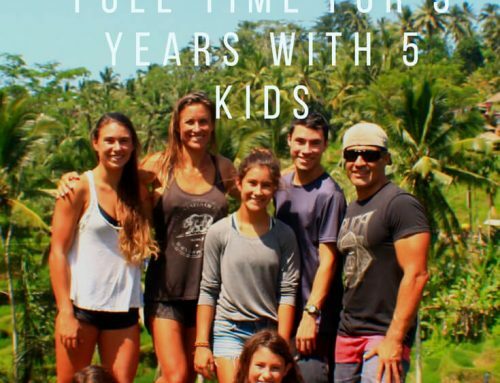 We have family in San Diego who store our RV when we travel abroad and we can save up enough money living like this to be able to leave our business for weeks or months at a time. But these are certainly important factors to keep in mind and not all RV parks operate like this. Thousand Trails are a very affordable way to live in an RV and travel, but again, there are limits to how long you can stay in one resort. We love State Parks and National Park Campgrounds. They are usually in a setting that lends itself to outdoor exploration (hiking, biking, etc) and tend to be more affordable, typically around $20-35/night although State Parks by the coast in California can get much higher than this. There is usually a limit for how long you can stay, somewhere between 7 and 14 days for most. For us, the secret to travel and adventure has come down to minimizing our living costs when we are sitting still in our hometown of San Diego. For the first two years that we lived this way we owned a business and were making enough money to cover all our living expenses plus save up for all our travels through April of 2018. There aren’t many places you can live in San Diego for a family the size of ours for this price. While there are many places around the country that you can live at for much cheaper, staying here is perfect for the types of adventures we love to do. It is centrally located and only a few minute drive to our favorite places. I love that this RV Park is on the water and that I can walk out my RV and run the sidewalks along Mission Bay. I know a lot of people try free camping across the bay at Fiesta Island but it’s just way too much dirt for me to handle when we are living in our RV in one place for long periods of time. Since we live at Mission bay RV Resort long term, we have an additional commuter car so we pay $155 per month to park it there. Maintenance too varies (what doesn’t?!). We’ve been lucky and haven’t had to do a lot to our RV for the past three years other than get oil changes and new batteries (our batteries always go bad when we travel abroad and the RV sits for long periods of time). It is getting time for bigger projects and we will need new tires before our next long road trip. Just keep little things like this in mind, especially tires, when buying your RV. We spend a lot on organic, high quality food, but we almost never eat out. We eat like kings. Actually, like very healthy kings. And there are a lot of us so our food bill is between $75 and $100 a day. Organic meat and veggies cost a lot and I’m not skipping my one IPA or glass of wine each day. When I have to, we can cut this down a little by eating more beans and rice, but I don’t like to. You probably can get by on a whole lot less than we do when it comes to food budgeting. The flip side is that we don’t normally spend much on clothes. In fact, until we tried living in the Breckenridge area for a few months and decided we wanted to learn snow sports, we hadn’t really bought much more than a new pair of shoes each year and a few basics. The same goes for fun. We get most of our entertainment from our sports and most of that gear we already had. Things are starting to wear out and break so I know we will need to budget for more gear, but overall our fun expense is limited to occasional movie rentals. We use Geico for our RV/auto insurance and have been really happy with their service. When we were recently rear ended, they did an amazing job at taking care of us. It costs us less to pay out of pocket to see a doctor when we need to and to pay the penalty for not having health insurance than to pay a monthly premium. Plus, we travel abroad a lot and having World Nomads for travel insurance protects you medically also. We have Tmobile so our bill is moderately cheap considering we have 5 lines (for the oldest 3 kids). Tmobile is great because of this but it’s good to note that with Tmobile we lose service anytime we’re not near a major city (which is pretty often). $25 of our cell expense is for one iPhone that we finance and $25 is for using our Alcatel as an unlimited wifi hotspot. We were really unsure about adding the tablet because it upped our monthly bill by $20 but it’s been so worth it. The Alcatel is only $75. Buy it on Amazon then bring it in to your cell provider and get unlimited data for a wifi hotspot anytime, anywhere. We don’t pay for much as far as entertainment goes (we don’t to the movie theaters, concerts, etc) so these are the few exceptions. We pay $10 per month for Spotify which allows all of the kids to be able to download unlimited music on their phones. It’s another $10 per month for Netflix. This is another expense we’ve recently added but it too has been worth it. We haven’t had Netflix in 3 years an dit was one of the first things we eliminated to save up money to travel. Considering the price, it’s really nice to have so many movies to watch on the rare occasion that we have service. Last, we pay $10 per month for iCloud to store all of our photos and videos from our travels (we still backup all our photos and videos to an external hard drive but it makes our media much easier to access from all devices). The climbing gym we go to is a little pricey but it’s 100% worth it for us when we’re sitting still. Our climbing gym not only has a huge TR and lead wall, but it also has a large bouldering area, small gym, climbing training section, and a yoga studio. We love being at the gym and we pretty much spend most of our day here so we don’t mind the expense. Victor also belongs to a Jiu Jitsu School and pays a monthly fee of $140. We do laundry at the laundromat in our RV Park. It’s a big reason we want to get a fifth wheel with washer/dryer hookups so we can cut back on this. I also did not include in this any of the expenses we incur to run the blog 🙂 If you buy any products through our affiliate links, it keeps our blog running and we appreciate it tremendously!